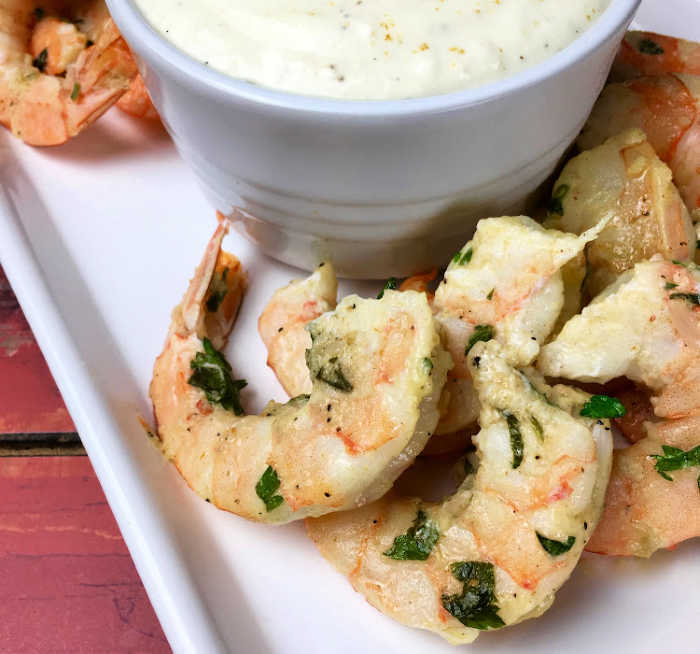 This warm Parmesan Garlic shrimp is packed with wonderful flavors, but the real breakout star is the versatile roasted garlic dip. 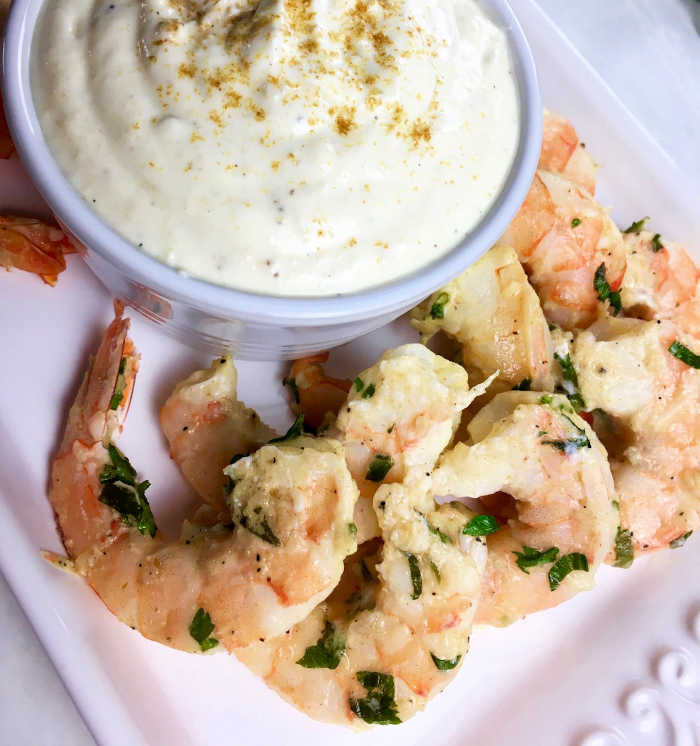 This easy dip is delicious as written, or it can be customized with your favorite herbs and spices, such as dill or parsley, to create a variety of flavor combinations. 1. Preheat oven to 400°F and line a large rimmed baking sheet with parchment paper. Set aside. 2. To make the roasted garlic dip, slice a thin sliver from the head of garlic, just enough so the cloves are exposed. Drizzle the cloves with olive oil and place the whole bulb on a small piece of aluminum foil and wrap tightly. Place in the pre-heated oven and roast for 40 minutes, or until the garlic is tender and creamy. Remove from oven and set aside to cool slightly. 3. 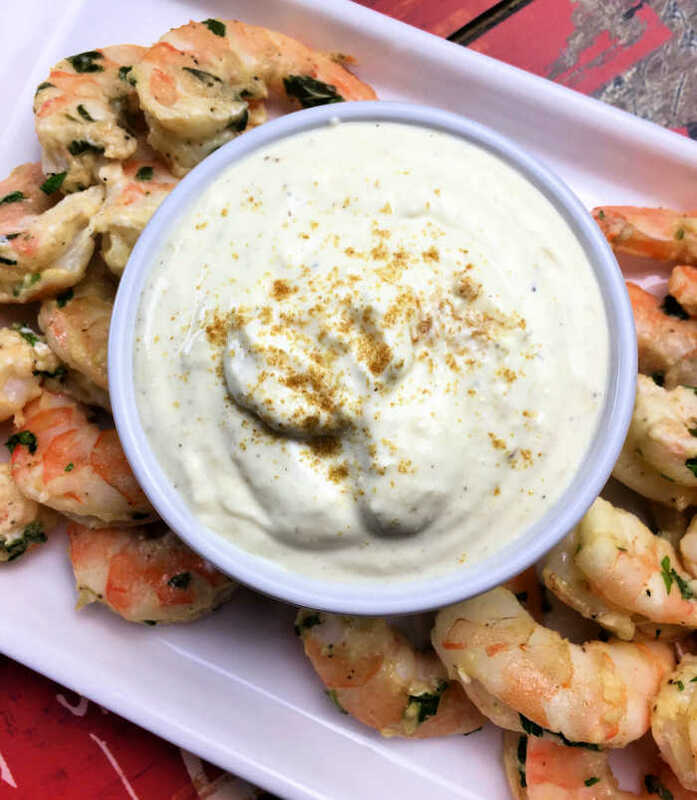 While the garlic is cooling, prepare the garlic shrimp seasoning by combining the olive oil, minced garlic, Dijon mustard, ground cumin, and grated Parmesan cheese in a large glass or other non-reactive bowl. Season with salt and black pepper, to taste. 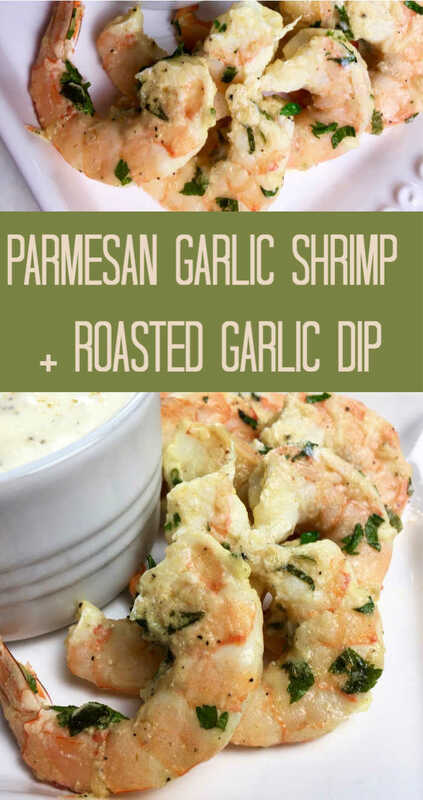 This warm Parmesan Garlic shrimp is packed with wonderful flavors, and the real breakout star is the versatile roasted garlic dip. 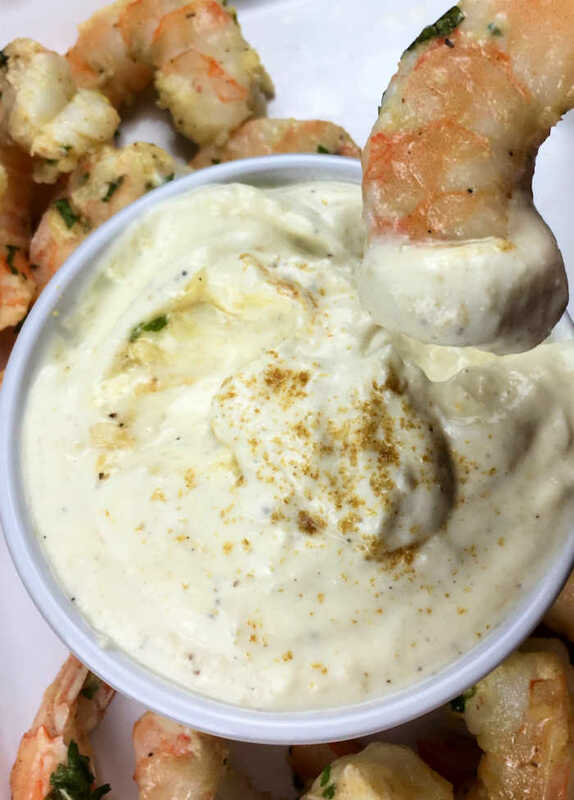 To make the roasted garlic dip, slice a thin sliver from the head of garlic, just enough so the cloves are exposed. Drizzle the cloves with olive oil and place the whole bulb on a small piece of aluminum foil and wrap tightly. Place in the pre-heated oven and roast for 40 minutes, or until the garlic is tender and creamy. Remove from oven and set aside to cool slightly. Add shrimp to the bowl and toss to combine. 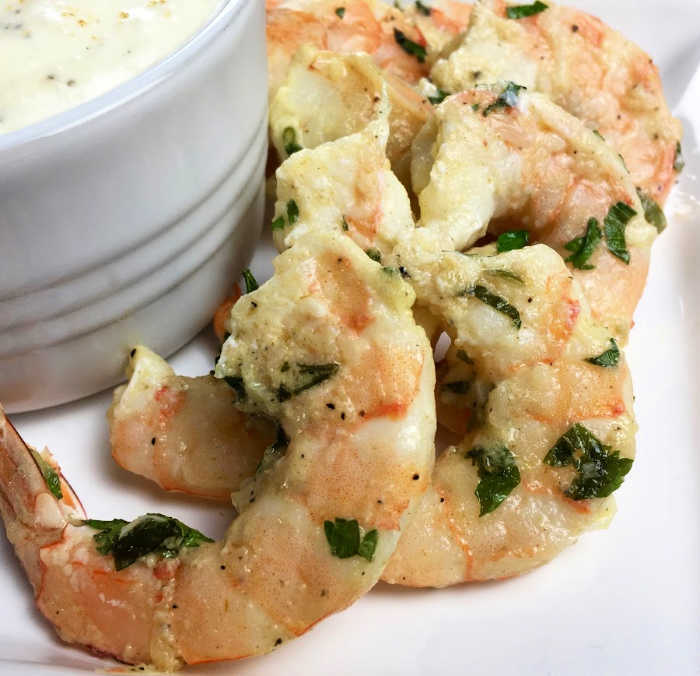 Transfer the seasoned shrimp to the prepared baking sheet and place in pre-heated oven to roast for 6 to 8 minutes, or until the shrimp are just firm and pink. Do not overcook.